Shine bright like the sunshine. Oh this is good. 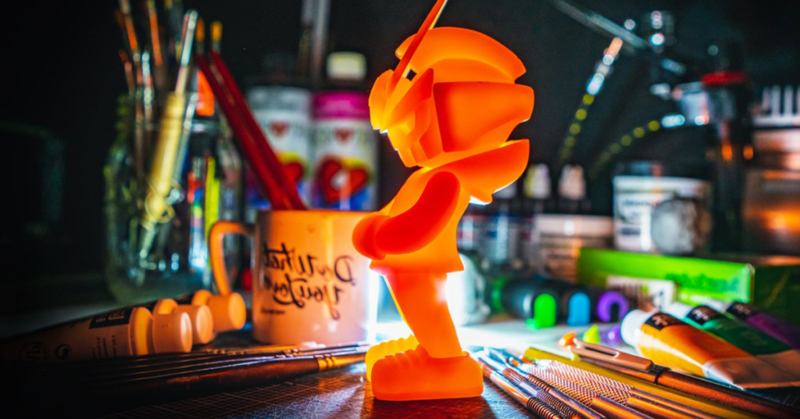 Martian Toys have revealed their next colourway of the Quiccs TEQ63 DIY Blank figure. Agent Orange! Oh, and it’s GLOW IN THE DARK too! Agent Orange GID TEQ63 will release on Friday 22nd March at 12noon ET (4pm UK) over on the Martian Toys online store HERE. Expect these to retail at around $40 (£30). If the previous GID and Black DIY TEQ63 release is anything to go by, the new Agent Orange GID will sell out QUICC! SUPER QUICC! So get those F5 fingers warmed up!